Google Apps and its Android system Marshmallow has famous among tech users. The number of users is availing this app to enjoy the latest features provided by the Google Android Apps. Now discuss the update of Marshmallow in this article. Google operating system Android Marshmallow has been famous among the users. European countries are using this operating facility but India did not use this system in phones. 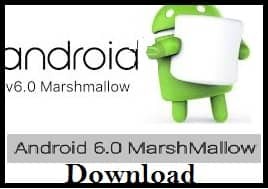 The way to avail the features of Android Marshmallow Nexus on the phone by downloading apps. Android Marshmallow developers have given tips to use the budget phone with features of the Android operating system. Recently Google announced that Nexus roll-out is in progress and if you are having Nexus 5, Nexus 6 and Nexus 7 phone then expect the notification in near future. These apps help to lock apps and phone by your fingerprint. Anyone can open link available on What's App or Facebook, without going on the browser. As well as the user can automatically close the app to stop the uses of RAM. Some smart Android Marshmallow 6.0 features are available in apps. How To Open Link Directly Without Using Browser In Whatsapp And Facebook. Android Marshmallow contains the features of the Smart link. If anyone sends the link to WhatsApp and Facebook, then you can open the link directly without using a browser on your system. That means the link will be open in the background. You will not be left on the first screen of the phone. Users can also resend the link in WhatsApp by using the back button. That will save your data, time and money. You can use these features to download the Apps from the Google Play Store. When you click on the link, the app will provide an option in a bubble to open. The first time you will get these options, second time all links will open directly in the background without taking your consent. How To Lock Or Unlock Phone By Using Fingerprint Scanner. It is very useful and good in terms of security. You can utilize the features available on Google Play ‘ICU - unlock the fingerprint scanner’ app. This application will convert the camera in fingerprint scanner to open or lock the phone. The app got the rating 3.8 on the Google Play Store. Users have downloaded this application 1 lakh times worldwide. How UN-used Apps On Your Phone Will Be Directly Closed. This is the unique feature of Android Marshmallow 6.0. Task Manager works on that app, which is not using since long. Android send the apps in slip mode and that helps to save RAM and battery both of Smartphone. As per Google concept, this application improves the battery capacity. If your phone screen has closed then application shutdown all background active apps. This application also works to close all apps, if your phone is unlocked too. Rating on the Google Play Store is 4.2. How Transfer Data From Internal Memory To Micro SD Card. If your phone has been routed then you can also do that by using the App Link2SD. It is very important to devise should be routed. The route of the device means you have to change the interface. Be conscious to use this method. Your phone may some error or problem to change the interface. Galaxy S6, Galaxy Note 5. Nexus 5 and Nexus 6. 39 % of Android users use the KitKat 4.4 operating system. Large numbers of the phone are having KitKat OS. 20 % are using Jelibil 4.2 OS and 18% are using 4.1 OS. The Android Marshmallow 6.0 theme is to full fill the dreams of the world by Google Android version apps. These apps are full filling your dream to use the budget Smartphone with high technology acquired the device.